With "Around the village"� we give you a chance to explore soul.Around the Village is a Home stay with an electic Agro-rural theme at its core.While our lives are entangled in the mesh of urban living we all deserve a hreak from it and go explore the countryside.At Around the Village our aim is to enrich your "Me" time with experiences, memories and help rekindle the child spirit in you, while promoting tourism in the rural parts of North Karnataka & to create self-sustainable model of rural development. We provide an opportunity for the visitors to explore & experience the village culture very quickly losing roots.You have the opportunity to explore the country side living through village tour, farm stay, farm activities, rural games, village festivals, visit to important historical & religious places nearby. 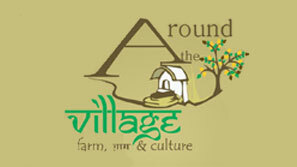 "Around the village"� is located in a small hamlet called Nittur (B) near Bidar Karnataka. It is approximately 3.5 hrs drive from Hyderabad and is also easily accessible by rail & road from cities like Bangalore, Pune, Mumbai, Aurangabad, etc. The role of non-mainstream wig hair styles is hair extensions that girls can not only easily change real hair wigs from long hair to short hair, but also human hair extensions easily change from short hair to hair extensions sale long hair.